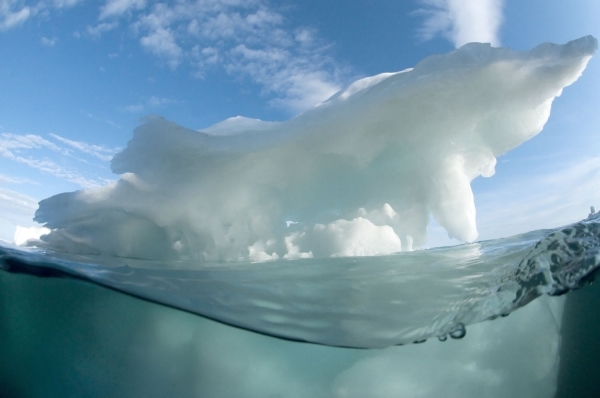 Earth Times environmental writer and award-winning photographer Louise Murray has a new exhibition of her polar photography at the Lacock Photography Gallery in the UK from October 15 2011 to 31 January 2012. Louise has been leading expeditions to the high Arctic since 1999, visiting Franz Josef land in Russia, Svalbard in Norway, Greenland; and Nunavut in Canada many times over the past decade for Arctic Kingdom Expeditions. All images are for sale as limited edition archival prints via Lacock Photography. "The quality of the light and the wildness of the environment draw me back again and again but I have seen real effects of climate change on the ground, where travel on sea ice is becoming more dangerous. This pristine environment deserves our protection, and I hope that my photography draws attention to that. Another great pleasure in working in the far north is the opportunity to work with the Inuit people, from whom we have so much to learn about reading the landscape, their survival skills and marvellous sense of humour in adversity." 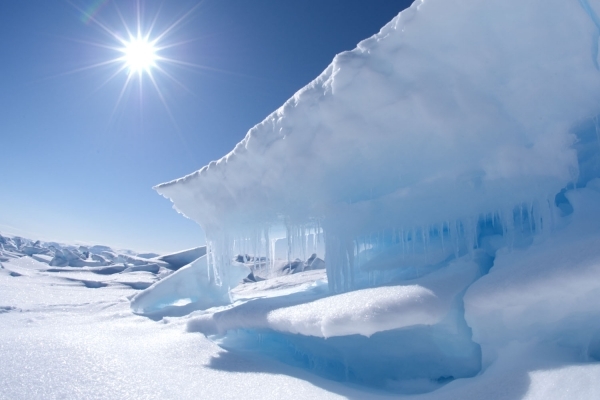 In late May the twenty four hour sunlight starts to melt the ice during the day when temperatures rise above freezing for the first time in months. Icicles form which add to the beauty of the landscape. 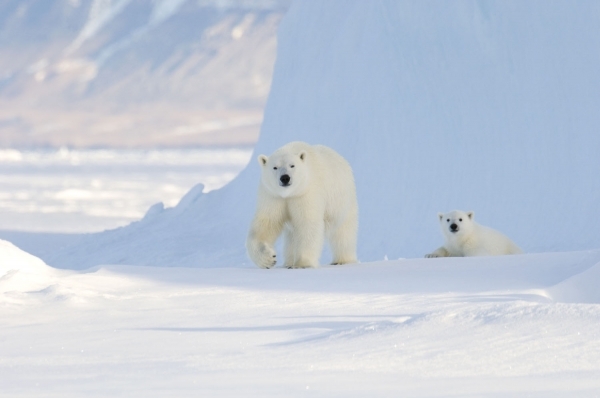 Bears patrol the junction of the ice and the Arctic ocean looking for their favourite food of ringed seals. 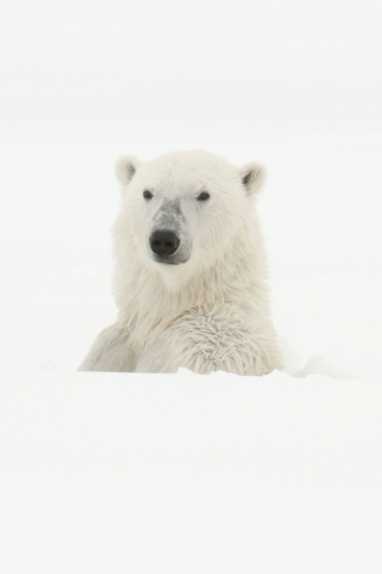 Polar bears are under pressure from climate change in other parts of their range, the population in this area is thriving. 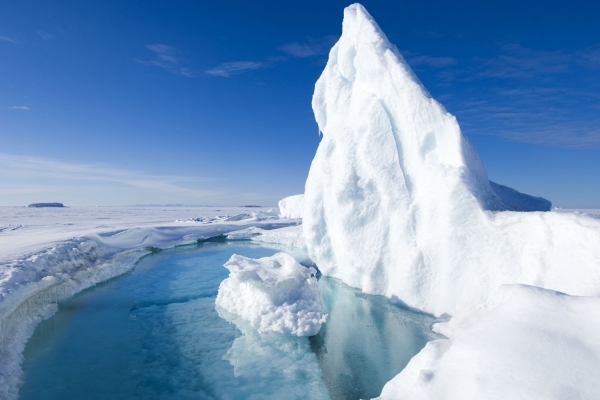 The two metre thick sea ice stresses and cracks first around icebergs which rise and fall with the tide. Gorgeous but freezing turquoise pools form during the day, icing over at night in the spring time. 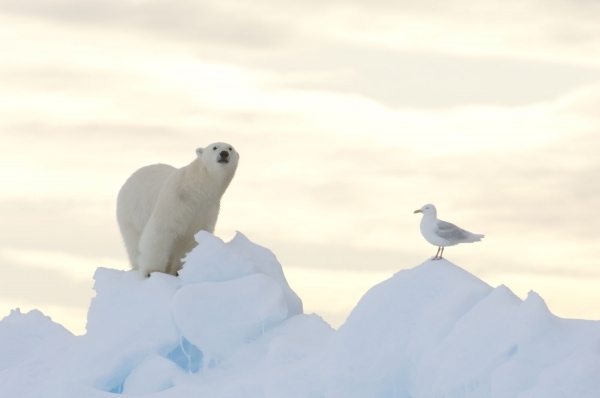 This female polar bear and her cub had been resting in the lee of an iceberg. Her four month old cub is vulnerable to large males in the area who may kill it in order to mate with the mother. This female will stay with her cub for another year as she teaches it to hunt. 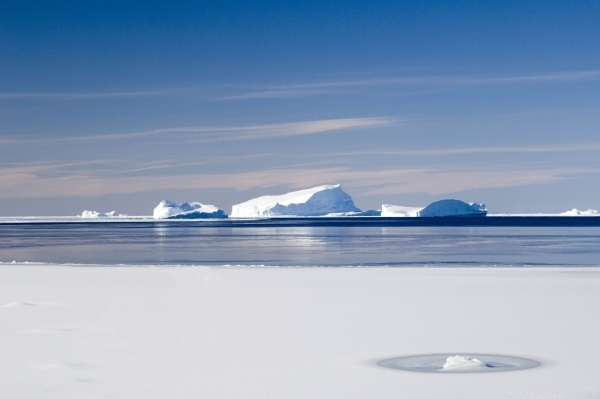 A wave passes in front of a small iceberg and reveals the mass of ice under the water. Bylot Island, an important polar bear denning area, forms part of Sirmilik National park, in north Baffin. Seen here reflected in the spring meltwaters which lie on top of the annual sea ice in Navy Board Inlet in early June. Sirmillik means 'place of glaciers' in Inuktituk. 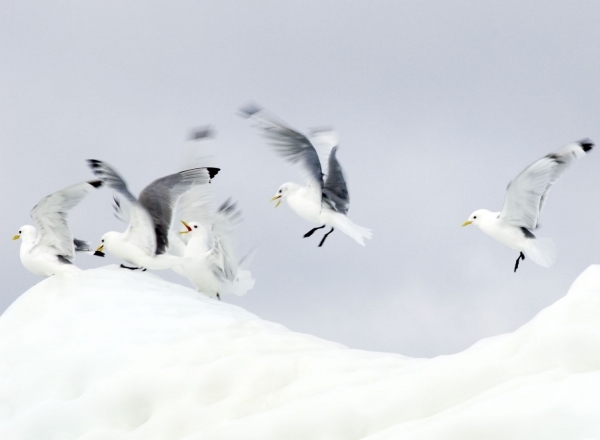 Black-legged kittiwakes taking off from iceberg near Qaanaaq, in northwest Greenland. The birds are there to feed on small fish and on krill, an arctic crustacean, both of which live under the berg. Krill is at the base of the Arctic food chain. Huge floating icebergs are becoming more common in northwest Greenland as the pace of glacier calving increases due to climate change. These bergs are larger than football stadia at the surface, and many times greater in mass underwater. 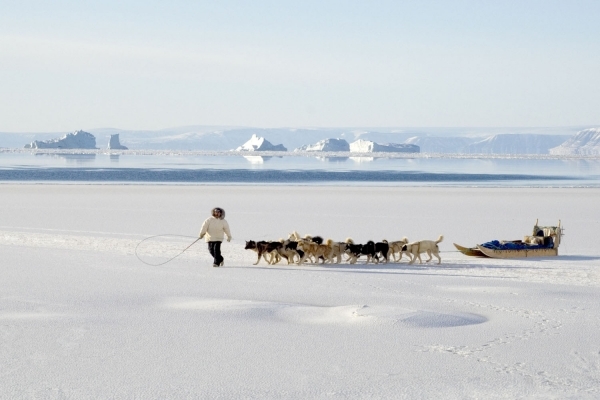 Inuit hunter leading his team of huskies across the ice at the floe edge. This are is one of the few remaining parts of the Arctic where Inuit solely use dog teams for hunting. 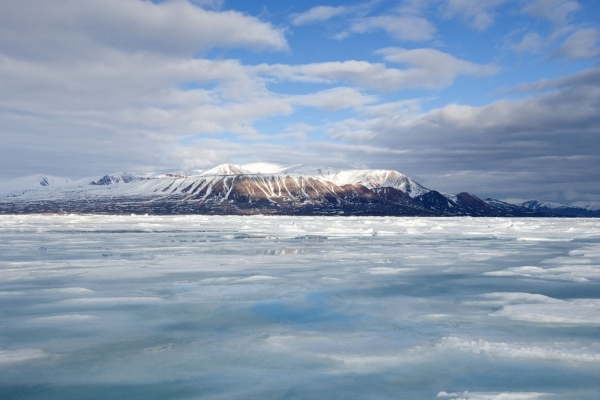 The use of snowmobiles for hunting is banned here in an attempt to preserve Inuit culture. This male polar bear has been using the cover of a sea ice crack to stalk ringed seals, and pops up to check on his progress. He eventually got his seal. 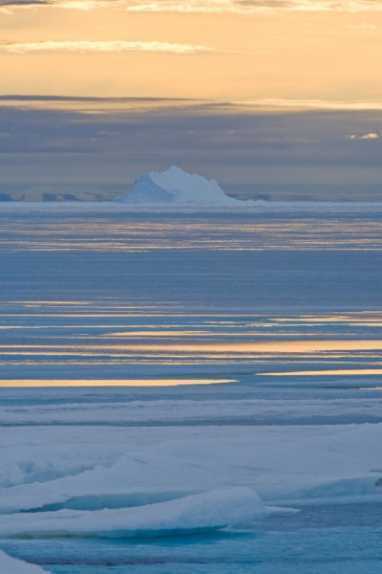 The spring meltwater on the ice is reflected in the midnight sun which casts a subtle light at 2am in June as it dips toward the horizon briefly. This melting is part of the normal annual cycle. Remote Devon Island where NASA runs a Mars-on-Earth testbed, can just be seen in the distance 60 miles away. A life long Nikon user, Louise works with a D3S, a top of range professional body and has a D300s as a spare camera. 'The D3S in particular is fabulous in low light conditions and I increasingly use it to shoot HD video in addition to stills when I have the time,' she said. She has a wide range of Nikon lenses from 10.5mm and 16mm fisheyes to the great 200-400 mm F4, perfect for bears. All of them function pretty well down to minus 40C - much below which it is too cold for Louise to work!